I remember the days when I thought using facial and cleansing oils was the worst thing I could do to my sensitive acne prone skin. Even after starting a Korean skincare routine I was still scared to give the double cleansing method a try. Post-kbeauty time; I changed my entry skincare routine, had everything from ampoules to sheet masks, the only thing missing was a cleansing oil. My skin condition improved a lot but clogged pores and blackheads were still an issue. After reading so much about it and hearing all the rave stories I decided that’s it’s time to introduce double cleansing, I was always planning on doing it just needed time to get used to the idea of oil on my face. Now I can tell you my skin never felt better before. Double cleansing is very popular in Asian and has slowly made its way into the west. It’s a two-step process that includes an oil-based cleanser as step one followed by a water-based cleanser. The underlying idea of it is that an oil-based cleanser draws out oil debris (from makeup, sunscreen etc.). This would not be as effective with a regular water-based cleanser, as we all know water and oil don’t mix. The double cleansing oil method helped me to balance oil-moist levels of my skin, I don't need to wipe anymore with x cotton pads to get all the make up off. 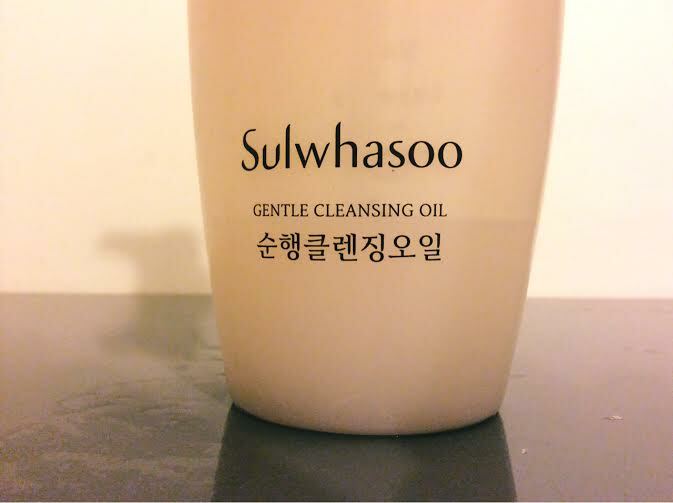 In this post I will bet reviewing my favorite oil cleanser at the moment, the Sulwhasoo gentle cleansing oil. 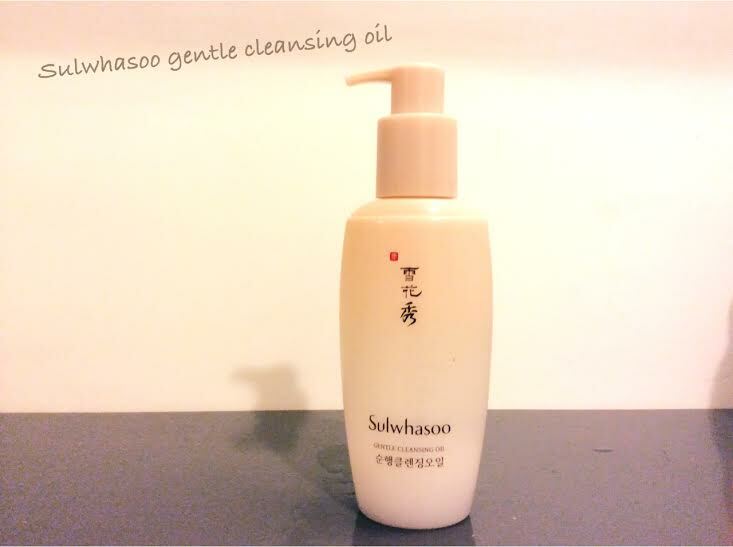 Sulwahsoo describes it as a cleansing oil formulated with traditional Korean herbs, that gently removes makeup and skin impurities. 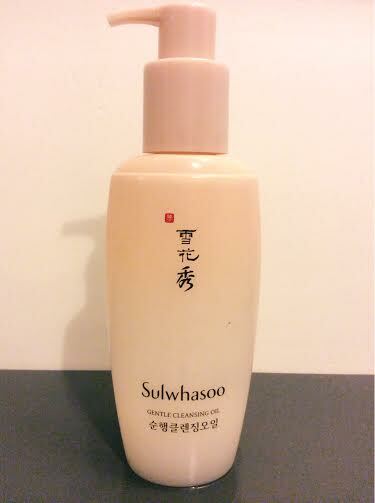 You might know by now that I love all things Sulwhasoo, their products never disappoint me. I was excited seeing the ingredients list, so many herbal extracts and natural oils. However, this might be a problem for folks with very sensitive skin. Running the formula through Cosdna we get a few red flags. Isopropyl palmitaed a derivate of coconut oil rated as 4 for acne and 1 for irritant. I don’t like coconut oil in skincare and I remember some products with Isopropyl palmitaed causing problems for me. Luckily, I didn’t experience any issues, I believe now its all in the formulation, or the ingredient never broke me out and it was something else. Skin is YMMV so always patch test first or get some samples. For example mineral oil based cleansing oils seem to break me out, while it works just fine for others who have troubled skin. The cleansing oils here are: PRUNUS ARMENIACA (APRICOT) KERNEL OIL, PINUS KORAIENSIS SEED OIL, SESAMUM INDICUM (SESAME) SEED OIL, CAMELLIA JAPONICA SEED OIL. The cleansing oil comes in a plastic bottle with a pump, containing 200 ml. The design is pretty ‘sulwhasoo hangban’ style. I like the sophisticated look and the pump can be rotated to close it. This is the first step of my skincare routine followed by a regular cleanser and/or micellar cleansing water. I use this oil during my AM and PM routine, about 1-2 pumps for my entire face. I know some prefer to use cleansing oils only for the night time routine, but I find that it mask my skin more hydrating and clean in the morning. I massage the oil on dry skin using a little bit water to emulsify it. It smells divine, it’s the famous ‘sulwhasoo hangbang’ scent. The formula is runny and has a milky clear color. I have been using this oil cleanser over 6 months now, I first tried a sample bottle of 50ml from ebay before buying the full size 200ml. The first thing I noticed is how hydrated my face felt afterwards. After 2-3 weeks first blackheads and raised bumps started to disappear (were still there despite using actives), I even felt some small greets coming out when messaging the oil. I know it sounds gross but that was very satisfying. Breakouts became less and less frequent, I’m now basically acne free. The formula also feel very luxurious, there is something about the scent and texture. In the meanwhile I have tried some other Asian oil cleanser, a few broke me out but most were okay or good. Still, the Sulwahsoo is my favorite and I love all the hangbang ingredients. The major change I see in my skin condition comes from the double cleansing method itself, so you can try any other cleansing oil if you are not using one yet. Even if you have oily skin I would recommend one. We used to think that putting oil on oily/combination skin would make acne problems worse, but it’s the opposite. An oil based cleanser will react with oil residues on your skin and balance the skins oil balance. Its also a perfect choice for dry skin types as it hydrates skin. The double cleanings oil method really changed my skin , I'm never going back to the old days. Wiping my skin with numerous cotton pads to get all the make up off is in the past. 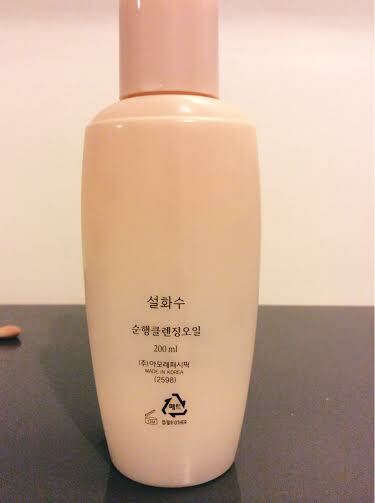 The Sulwahsoo Oil cleanser doesn't come cheap at around 35-40$, so it’s a splurge. As said you can try cheaper cleansing oils, I will review more in the future. You can buy it at Amazon* for 33$, W2beauty for 43$ (free shipping). Disclosure: This post contains affiliate links marked with an asterix *, shopping with them will support the blog.